Approximately 3,500 American troops have been deployed to Poland as part of a deterrence campaign, marking the first time since World War II that the US has sent soldiers there in such numbers. 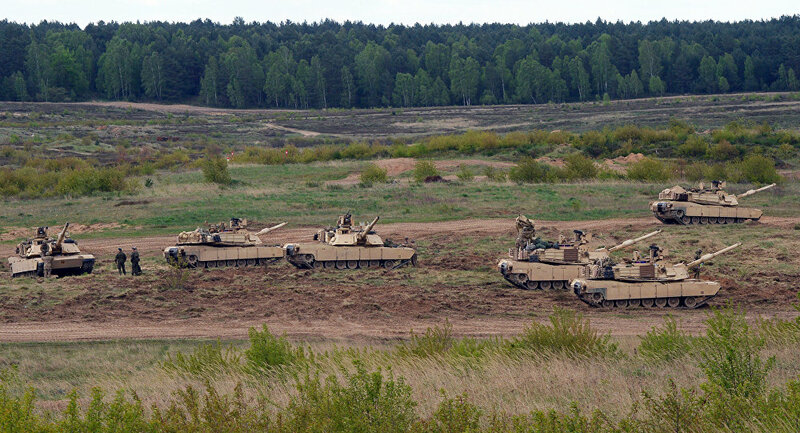 January marked the arrival of an armored brigade in Zagan, Poland, that had been stationed at Fort Carson, Colorado. The US is cooperating with Polish security forces to enhance military preparedness with ground troops, tanks, and armored personnel carriers. The drills began Monday. Polish President Andrzej Duda was delighted at the prospect of better ties with Washington and the regional security it might provide. “God bless Poland, God bless America, God bless American soldiers,” Duda said, while observing the training operations. Paul Jones, US Ambassador to Warsaw, was also in attendance. Both officials said the American troops would improve regional security while serving as a deterrence presence on NATO’s eastern flank. NATO has also stationed German infantry in Lithuania. ​"Endless war-games and rotational deployments essentially amount to permanent military presence," Sergei Ermakov, analyst at the Russian Institute for Strategic Studies, said. "What we have seen is only the tip of the iceberg," he added. NATO has pushed to station four infantry battalions in member states sharing borders with Russia by April 2017. Congress has appropriated $1.7 billion to the Department of Defense for the European Reassurance Initiative for fiscal year 2017. In 2016, the DoD requested just $789.3 million, according to the Under Secretary of Defense (Comptroller).